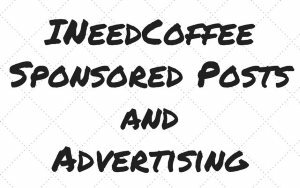 In several tutorials here on INeedCoffee, we show you how easy it is to make cold brew coffee at home. Soak coffee grounds in water for 12-36 hours, filter, and you’re done. The only step left is to chill the finished brew. So what makes one cold brewer better than the next? Volume, the quality of the filter, how easy it is to clean up, and how good it looks on your counter. That was it. Until now. 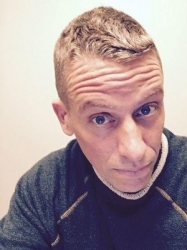 Gourmia came in and solved the one variable everyone else took for granted: The Wait. Why must we wait 12-36 hours for cold brew coffee? Does it have to take so long? Can we speed up the process? The reason we wait so many hours for cold brewed coffee is that the coffee grounds are just sitting in motionless water, slowly releasing their flavor. Very slowly. What if throughout the brew cycle the water gently agitated the coffee grounds to accelerate the release of flavor? You could reduce the brew time. 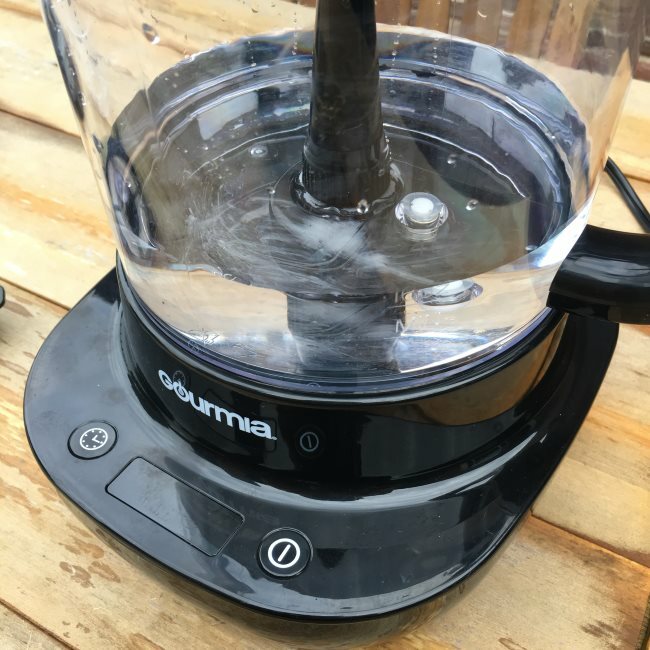 This is what the Automatic Cold Brewer by Gourmia does. Depending on how rich you want your cold brew, the Gourmia will softly push the water evenly over the coffee grounds for a period of 10 to 40 minutes. This is followed by an optional cooling cycle of around 6 minutes. 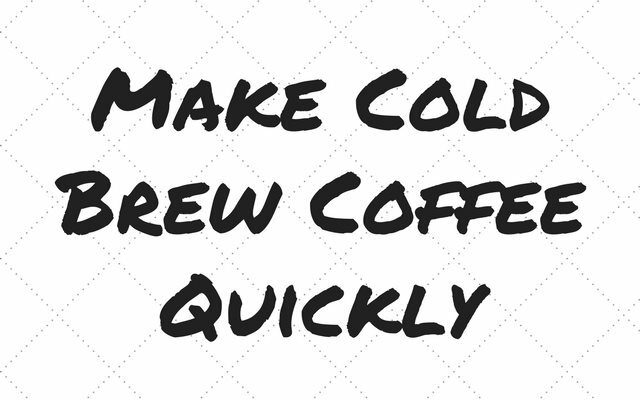 What this means is that you can have filtered cold brew coffee from set up to finish in minutes. 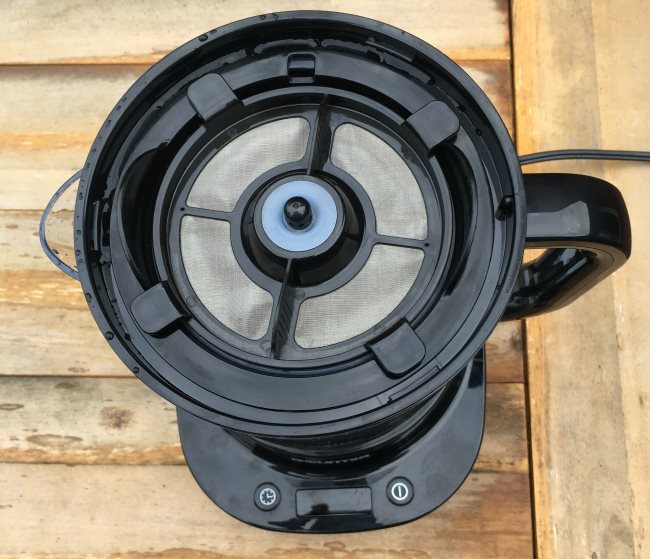 When you unbox the Gourmia Cold Brewer, you will see several parts. Don’t be overwhelmed. 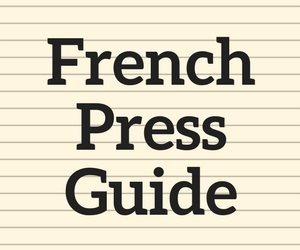 It is really easy to get started and the documentation is well-written. The first thing you’ll want to do is remove all the plastic wraps covering the different sections. Then wash and dry everything. This photo shows the different parts of the Gourmia Automatic Cold Brewer. From top to bottom: Lid, Top Filter on the Coffee Basket, Ice Basket, Pitcher, Removable Fountain (inside Pitcher), and the Main Unit. Note that the Coffee Basket is used only during the brew cycle and the Ice Basket is only used during the chilling cycle. Cold Brew or Cold Brew Concentrate? Before you start to brew, you will decide how strong you want to make your cold brew. There are four settings, each corresponding to a brew strength. 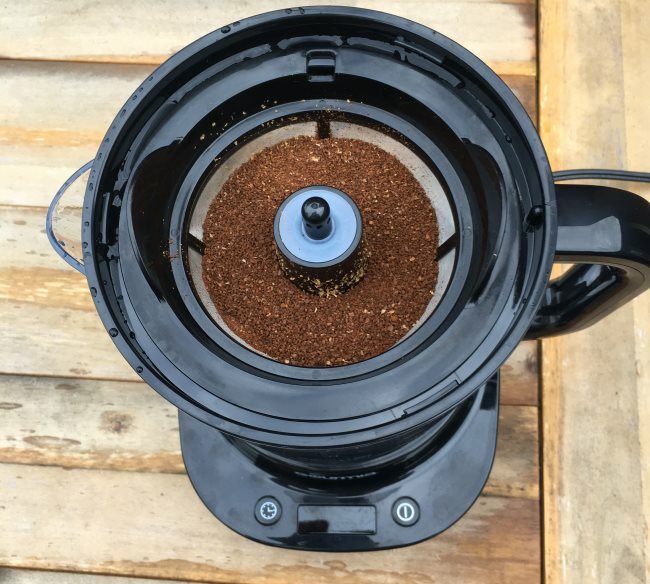 Gourmia recommends using a Medium-Coarse grind for all the settings, however, if you wanted to make a strong coffee in 10 minutes, just tighten up the grind to Medium. 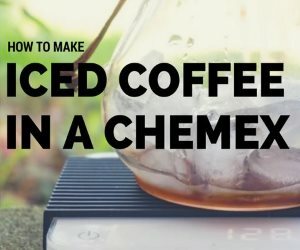 If you find that you’ve used a grind too fine and your coffee is too strong, you can always add water to bring the coffee to the strength level you prefer most. There are three markings on the side of pitcher indicating different brew quantities. Each level has a different coffee requirement. This information is in the instructions, but I’ll reprint it here in case you’ve misplaced yours. The brew chamber can hold a lot more water, but don’t be tempted to make more than 24 ounces, because the basket that holds the ground coffee is limited to around 60 grams. Adding more water will only result in a weaker brew. You can add water post-brew if it tastes too strong to you. 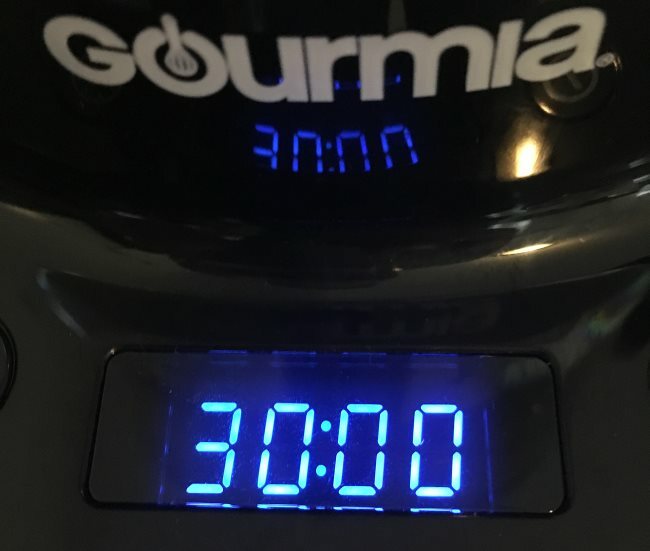 The Gourmia Automatic Cold Brewer has two phases. Phase two is optional. You do not need to use the brewer to perform the cooling, but if you are having the coffee right away, use it. Otherwise, bottle the coffee and place in the frig. Twist the Removable Fountain clockwise into the bottom of the pitcher before adding water. Fill the pitcher with cold water up to the marking level you wish to make. 10, 16 or 24 ounces. On this brew, I was making 16 ounces of coffee. Add coffee grounds inside the Coffee Basket and then place on top of the pitcher. Add coffee grounds inside the Coffee Basket and then place inside Pitcher. Put the Top Filter over the Coffee Basket and press into place. Then add the Lid and turn into place. The Top Filter will fit snug over the Coffee Basket. Secure the Lid on top. Confirm the cold brewer is plugged into a working outlet. You’ll see the LED Display if you have power. Pressing the left button will cycle through the brewing times in 10-minute increments. Set the time based on the brew strength you desire and then hit the right button to begin. If in the middle of a brew you decide you want to make the coffee lighter or stronger, you can adjust the timer. Here I have set the brew to 30 minutes (Bold) with the button on the left. 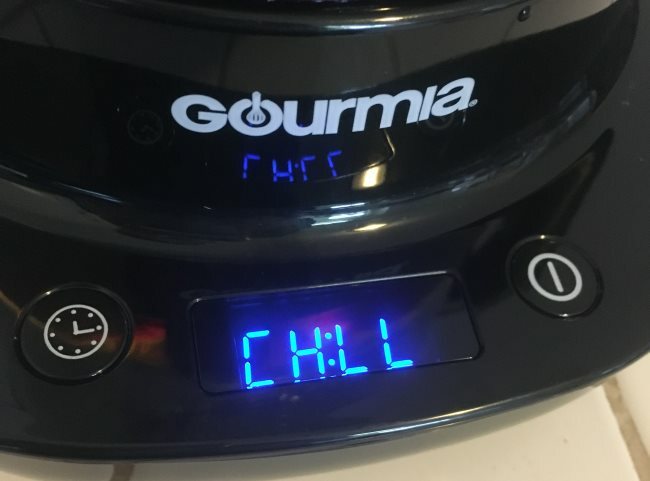 Then I pressed the right button to initiate the cold brew. At this point, the coffee has finished brewing. You can bottle it and place it in the refrigerator or if you’ve made a concentrate, you can add ice/cold water. Or heat it and drink it hot. The Gourmia has a chilling cycle that moves your cold brew near the basket of ice in a way that cools the coffee without melting the ice. The cold brew retains its brew strength and gets chilled. Remove the Coffee Filter Basket and place inside the Ice Basket filled with ice cubes. To start the chill, hold the left button down for 3 seconds. Once you see CH:LL, press the right power button. This will take about 6 minutes. During this time it may appear the machine is doing nothing, but the coffee is being circulated through the Removable Fountain by the ice. The coffee will not be super cold at the end of the chilling cycle, but it will be cool enough that if you do add ice, the ice will not melt right away. If the coffee tastes too strong, just add water, ice or both. If the coffee is too weak, tighten up your coffee grind and/or extend the brew cycle time. 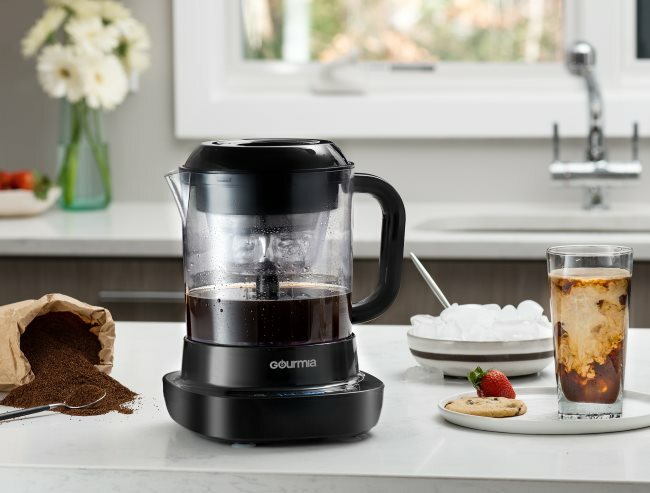 The Automatic Cold Brewer by Gourmia is a pretty neat brewer. The cold brews I made at both the 20-minute and 30-minute settings were just as delicious as the cold brew I had in my frig that took 24 hours. Besides the extreme time savings you get with the Automatic Cold Brewer, another benefit is with the 4 settings, all the guess work on how long to leave your cold brew is handled for you. Being able to repeat your brewing results is will be easy to accomplish with the Gourmia. As much as I like other cold brewing methods, even the newer ones with better filters, I found that the Automatic Cold Brewer brews a cleaner brighter tasting cold brew. There wasn’t the sandy reside at the bottom of the pot when it was finished brewing. 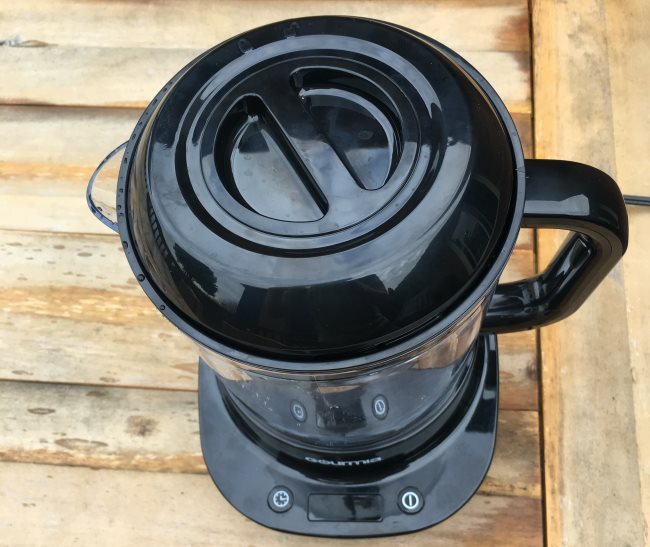 For those that love cold brew coffee, but don’t like to wait a day, this might be the coffee brewer you need. 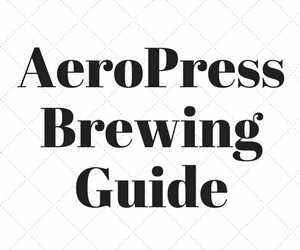 Cold Brew Coffee is Not Rocket Science – An overview of the basics of cold brew coffee.